After a night on the line, most chefs have a go-to drink, from cheap beer to a house bartender's expert cocktail. Here, F&W Best New Chefs 2012 Erik Anderson and Josh Habiger, of Nashville’s provocative star restaurant The Catbird Seat, reveal their drinks of choice. For Anderson, nothing beats a Ramos gin fizz, made by shaking gin with lemon juice, sugar, cream, egg white and orange flower water, then topping it with soda water. “Josh was a bartender, so he’s really well-versed in classic cocktails—he gets sick of me talking about it. If I get hooked on something, I’ll make it over and over again," says Anderson. "Sometimes I change the recipe a little bit, and take a photo and write the recipe on my wall at home. A gin fizz is so simple but it’s fantastic. 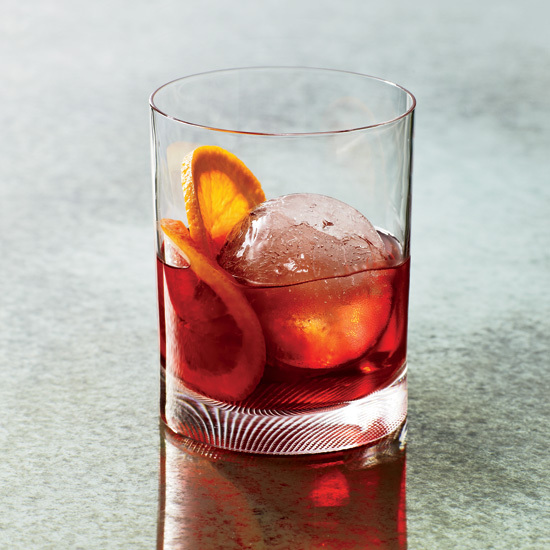 When it’s done right, it’s borderline tropical.” Dry-humored Habiger prefers a Negroni, or a derivative of it. “Something bitter and pretentious, just like me,” he says.